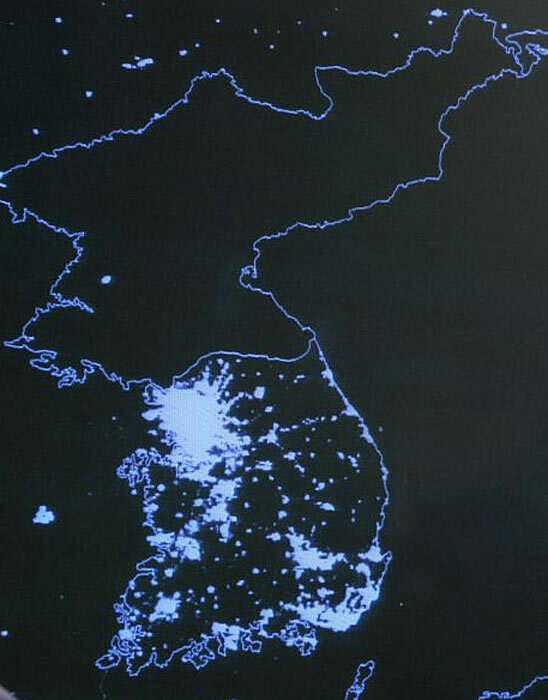 North Korea may have atomic weapons, but it doesn’t have electricity to keep its lights on. While the north shivers in darkness and starvation, its neighbors to the south are thriving. A lesson in skewed priorities. Take a look at what the opressed N. Koreans are going through! This is really eye opening.